I had two cakes to make for Friday last week, which meant it was a pretty hectic Thursday! As such I'm afraid this post and the next are mainly photos with little description (but that's not always a bad thing when it comes to cakes!). 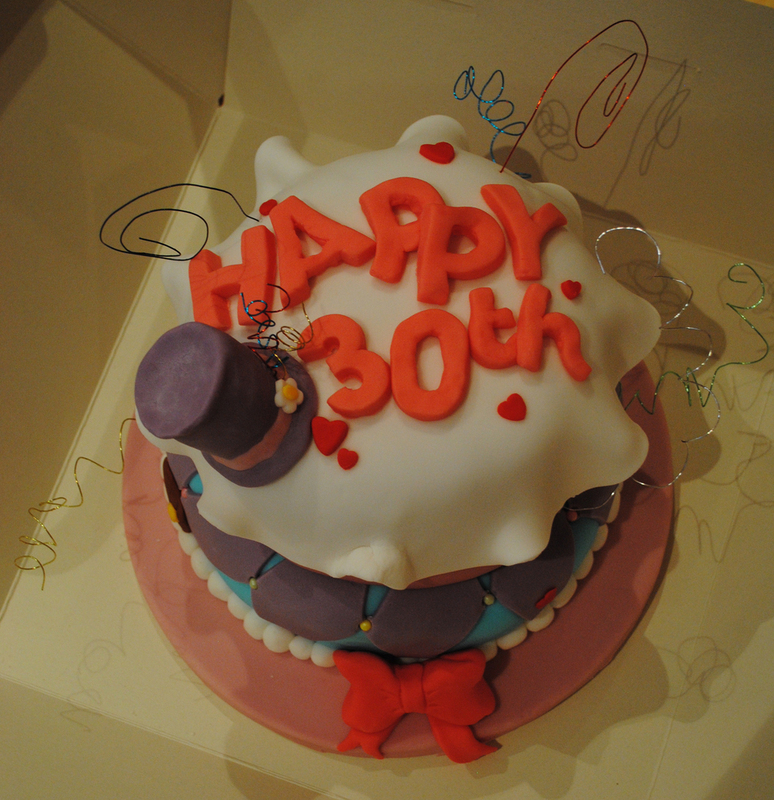 The first cake was for my friend Lucinda's 30th birthday and her Mad Hatter themed party. I started by making two chocolate fudge cakes (one a little smaller than the other) and a big bowl of raspberry buttercream, which I made by mixing fresh raspberries into vanilla buttercream. My friend also wanted the cake to be wonky, so before icing the separate tiers I carved them into angles. I didn't make them quite as wonky as originally planned though as I knew they had to make it back to her party in one piece! Sadly I couldn't make the party, but hopefully the cake went down well!